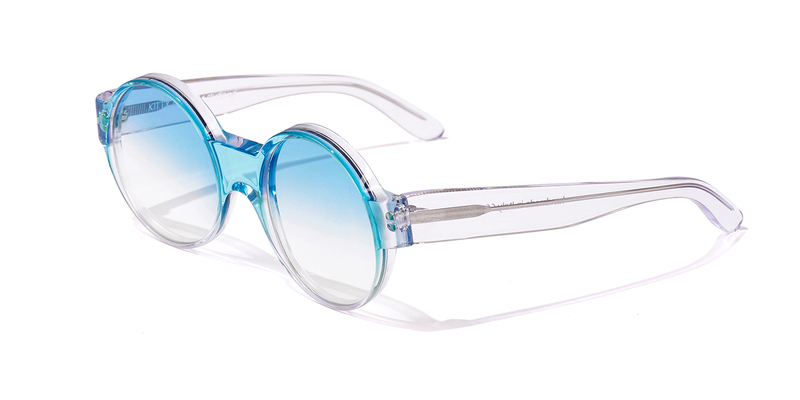 We teamed up with London based womenswear designer Kitty Joseph and translated her ongoing exploration of color, complemented by aesthetic influences from Josef Albers’ color studies into a sunglasses collection to accompany her S/S16 collection. 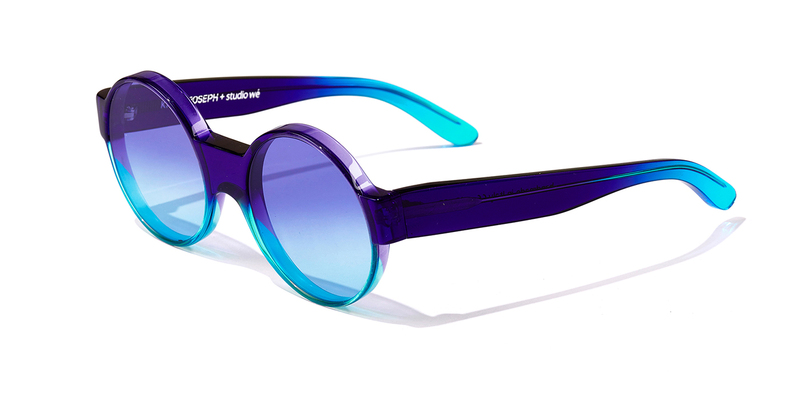 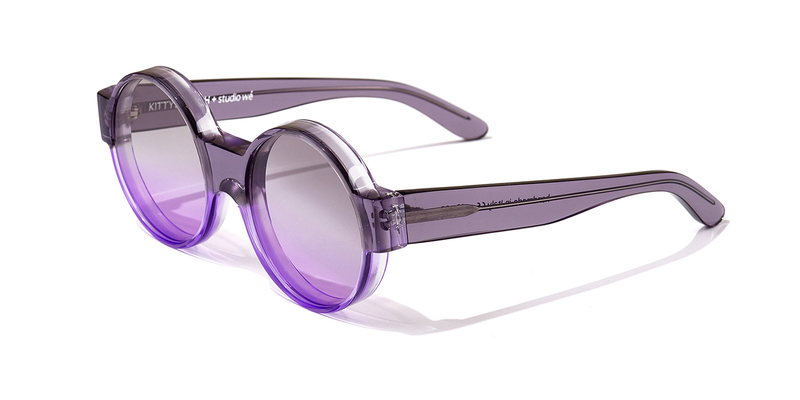 The model’s three distinct colorways are realized by custom laminating transparent monocolored sheets of Mazzucchelli acetate to create vivid two-tone gradients. 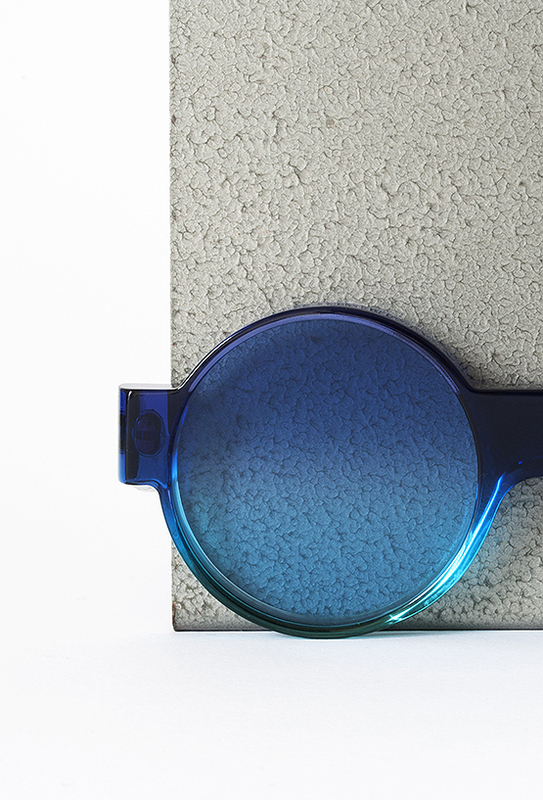 Zero base lenses dyed in matching hues complete the circular frame’s architectural geometry.